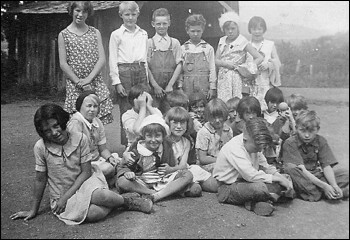 Here's another 1930-31 class photo from Independence School in southern Oregon, grades 1-8. My mother Fredene Ama Daugherty is in the back row (far right) and her sister Betty is in the second row (middle). This photo shows the school in the background.